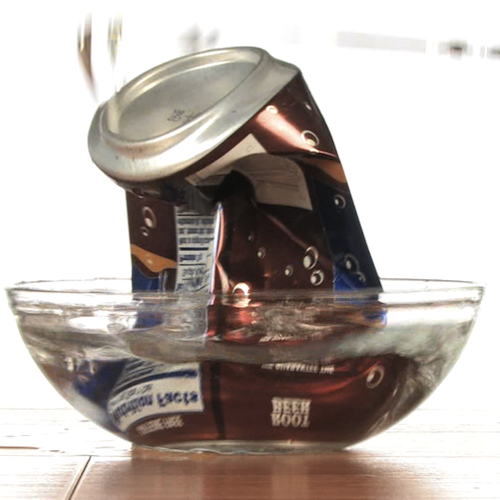 If a can is filled with a small amount of water, heated to the boiling point and then quickly inverted into a bowl of water, the sudden drop in vapor pressure will result in enough net inward pressure to quickly crush the can. 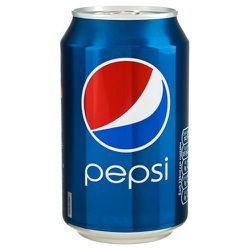 A can is placed on a hot plate until steam rises, the water can be brought to the boiling point where its vapor pressure is equal to atmospheric pressure. 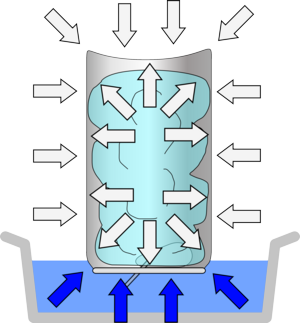 The vapor will then push most of the air out of the can. 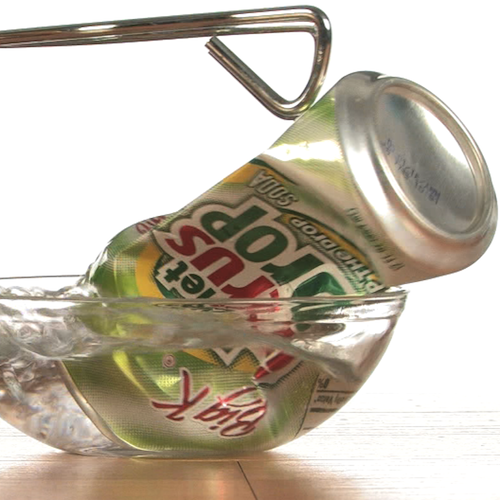 If the can is quickly inverted into a beaker of water, sealing off the opening, the sudden drop in vapor pressure will result in enough net inward pressure to quickly crush the can. My name is Dylan and I play airsoft. I practice Judo and I have 2 dogs and 3 cats. I like to play Minecraft.